Here is a bit of an unusual bird for California. 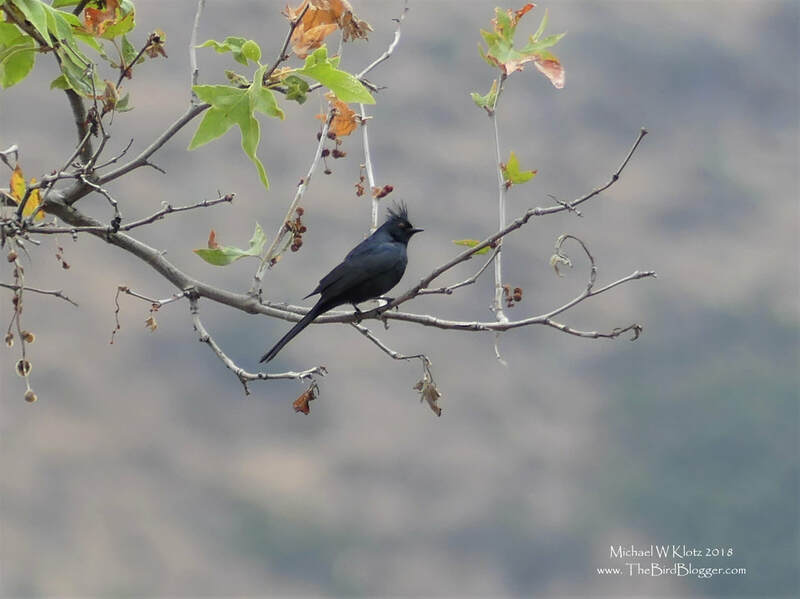 This black silky flycatcher is the only one if its family that make the southern states it's home with the 3 other relatives living from Mexico to Panama. This male was moving around the Sycamores and Live Oak just outside the Silverado Community Center with 4 other males. Phainopeplas are even more striking in flight as they have white wing patches on the flight feathers. These birds are denizens of the dry scrub and ensure that they have access to their favorite fruit, Desert mistletoe berries.